DeSean Jackson and Michael Vick have some... feelings about Chip Kelly. The football world has descended on Atlanta ahead of Sunday’s Super Bowl between the Rams and the Patriots, but the biggest beatdown of the week may have already occurred. 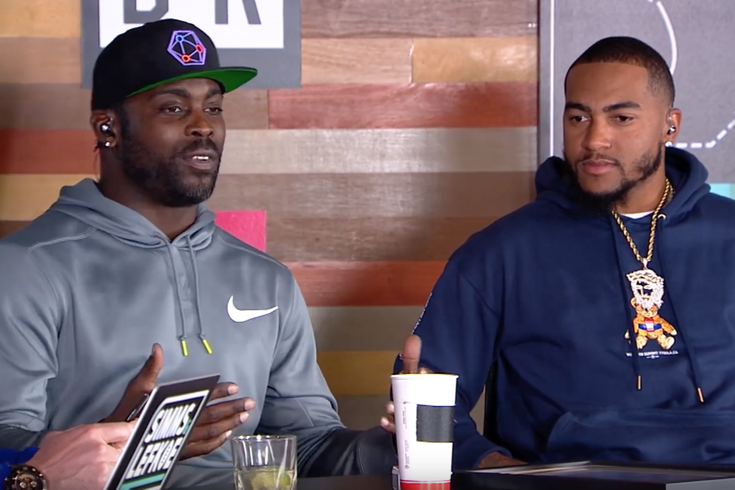 In an appearance on Bleacher Report’s Simms & Lefkoe Podcast down in Atlanta, Michael Vick and DeSean Jackson both aired a few grievances about former Eagles head coach Chip Kelly. Kelly, you might remember, did not leave town on good terms, and was responsible for the departures of Jackson, LeSean McCoy, Jeremy Maclin, and Evan Mathis, among other notable Eagles. Super Bowl champs feels like a stretch now, and maybe it is, but that first Kelly-era Eagles team sure was good and fun. Can you imagine if the lasting legacy of the Eagles’ first Super Bowl was a Chip Kelly-Michael Vick-DeSean Jackson triumvirate, instead of Doug Pederson-Nick Foles-Alshon Jeffery? It would be a whole different world. "That year, I’m laying in my hyperbaric chamber before a preseason game — [gestures to Jackson] I never told you this — I’m battling Nick Foles for a starting position. I’ve been a starter for 12 years of my career. Now I’m in a battle which I’m clearly winning. Nothing against Nick, nothing but respect for him, we love him to death. But I’m sitting in my hyperbaric chamber, crying with tears coming out of my eyes because I’m like, ‘I did everything I could’ve for Chip Kelly. I showed him the leadership, play on the field speaks for itself, I galvanized the team when the rough thing happened with Riley Cooper, and it’s still not enough?’"
Jackson also touches on the tried-and-true take of Kelly valuing his own system over individual talent, and the two generally rib the now-former NFL coach for four straight minutes. The whole thing is a good dose of schadenfreude for Eagles fans, and even more so since the team now has a Super Bowl in tow.